Hola peeps! This week started out a wild one but I am thankful on this Tuesday! While checking out one of my fave blogs Around the Way Curls *check them out they’re fresh* I stumbled upon their post of Naturally Curly—Curly Hair Growth Chart. 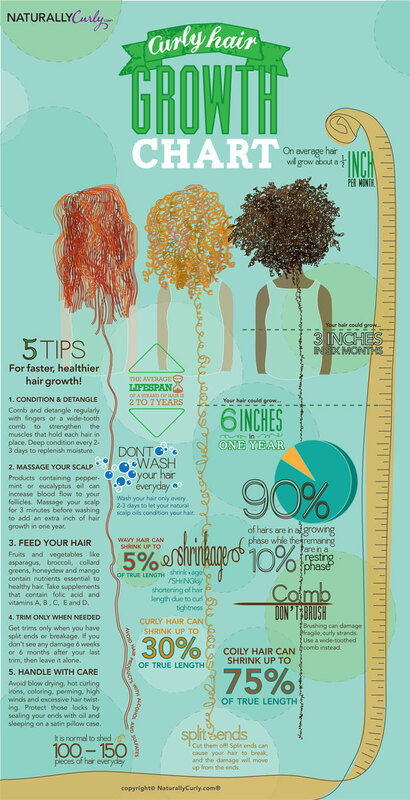 I love this chart because it gives great tips on how to maintain curls and let’s you know what to expect during the growth cycle. Take a peek and let me know what you think. Enjoy!